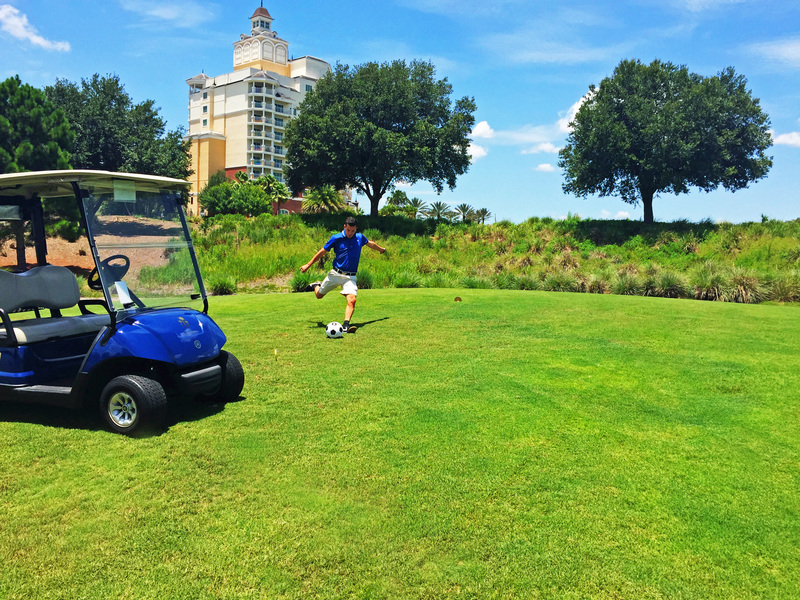 Orlando, FL – As the United States Women’s National Team returned home from winning the FIFA World Cup in Canada and inspiring a nation, Reunion – a Salamander Golf & Spa Resort – unveiled plans to integrate the planet’s most popular sport with one of Florida’s finest golf courses. 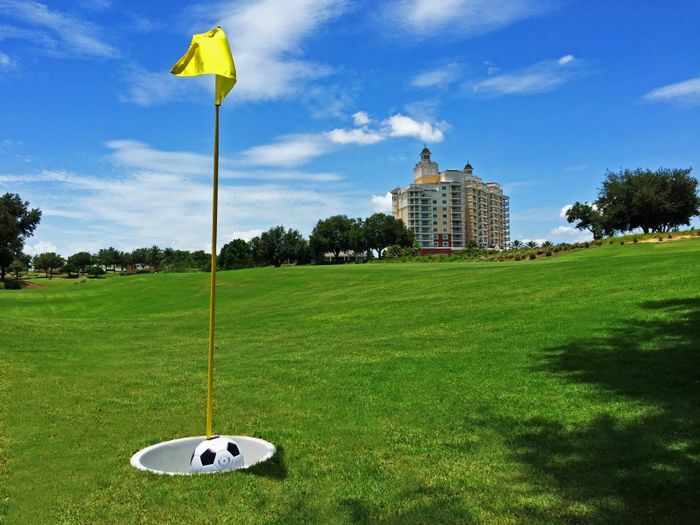 Beginning in late July, the Orlando resort will introduce the exciting game of FootGolf to its luxury links. Played like traditional golf but with a soccer ball, FootGolf offers a unique and exciting way for guests to experience the undulating fairways of Reunion’s award-winning Watson Course, a Tom Watson Signature Design. The 18-hole, par-72 course will open in late July and begin taking reservations shortly beforehand. 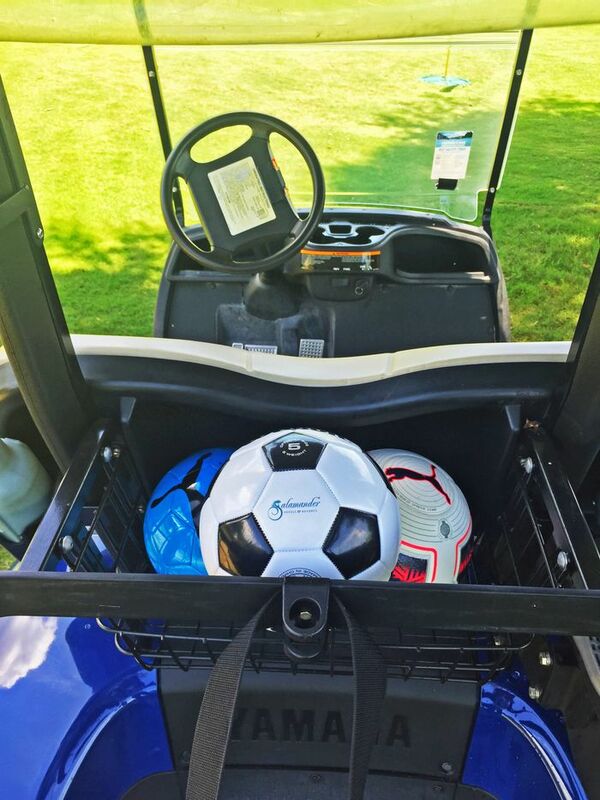 Upon checking in for their tee time, FootGolfers will receive a golf cart with a stocked cooler of ice and bottled water and a soccer ball. 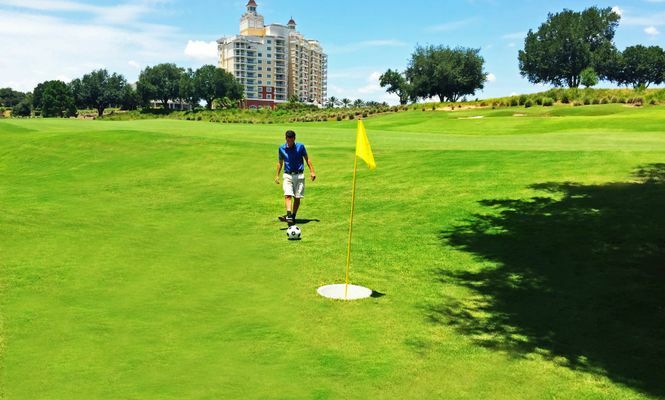 It costs just $30 per person plus tax to play the course and FootGolfers must be overnight guests of Reunion Resort. Tee times will be available in the afternoons and the course takes an average of only 90 minutes to complete – the same length of time as a soccer match. Over 27 million people tuned in to watch the Carli Lloyd-led USA team defeat Japan 5-2 in Canada on Sunday night for its third world soccer title, and Reunion views the sport’s growing popularity as another way to introduce golf to a new generation of fans. 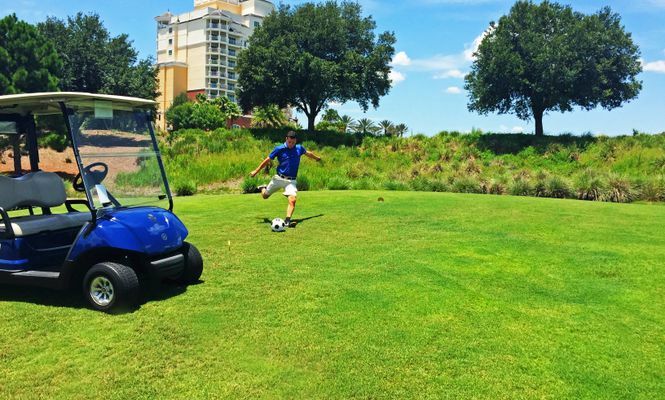 Orlando has long been home to some of the world’s finest golf courses and players, including Rory McIlroy, who just injured his ankle playing soccer with friends. Now, the area is also home to Major League Soccer (MLS) team Orlando City, for whom former FIFA World Player of the Year Kaká is plying his trade. And, when soccer players aren’t playing soccer, what else do they do? Play golf, of course. 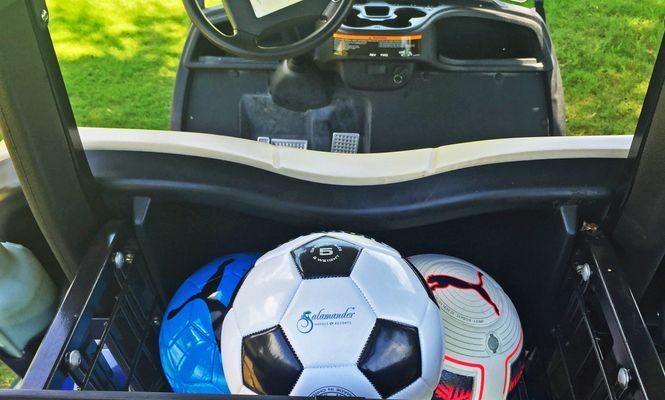 Reunion’s award-winning golf courses are an attraction to some of soccer’s best players. Former Scotland National Team Player and current Glasgow Celtic Assistant Coach John Collins recently paid a trip to Reunion, where he was among the first to try out the course just after construction began. Watch him play the first hole. 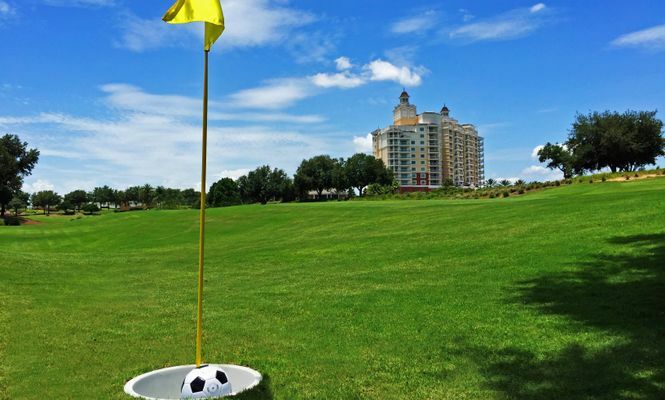 The resort will also host Orlando City’s inaugural golf tournament this September. Located just minutes from Disney World, Reunion Resort is the only location in the world to feature Signature course designs from the legends Jack Nicklaus, Arnold Palmer and Tom Watson, while it is home to the exclusive ANNIKA Academy by Annika Sörenstam. Reunion also offers numerous luxurious condominium and home accommodations, and a plethora of resort activities for the family including an award-winning tennis facility, water park, walking & biking trails and more. For more information, including about Reunion Resort’s variety of packages, or to make a reservation, visit www.reunionresort.com or call (407) 662-1000. 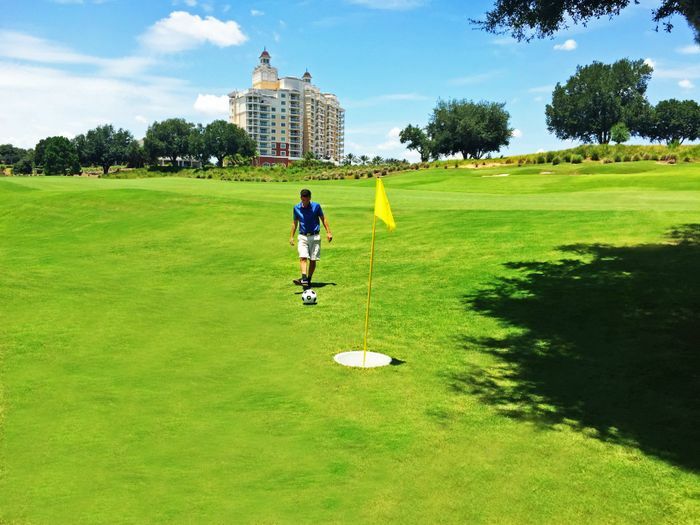 To learn more about FootGolf, visit www.reunionresort.com/golf or call the resort’s golf pro shop at (407) 396-3199. Managed by Salamander Hotels & Resorts, the AAA Four Diamond-rated Reunion Resort located in Orlando offers premier multi-bedroom villas, highlighted by the 96-suite main hotel with a stunning lobby; and luxury private homes, each with lavish appointments and exquisite decor. Reunion Resort features 360 resort accommodations including luxury condominiums, private villas and vacation homes surrounded by 2,300 acres of lush landscape and nature preserve, elegantly appointed meeting space, a full-service boutique spa, multiple pools, slides, water playgrounds and a 1,000-foot lazy river. Reunion Resort is the only location in the United States with golf courses designed by the golf greats Jack Nicklaus, Arnold Palmer and Tom Watson and also features the exclusive ANNIKA Academy by Annika Sörenstam. For additional information call 407-662-1000 or visit www.reunionresort.com. Salamander Hotels & Resorts is a privately owned and operated company based in Middleburg, VA, just outside Washington, D.C. Founded by entrepreneur Sheila C. Johnson in 2005, the company has a portfolio that features a collection of three stellar Florida golf resorts including Innisbrook Resort near Tampa, Reunion Resort in Orlando and Hammock Beach Resort in Palm Coast; the luxurious Salamander Resort & Spa in Middleburg, a 340-acre equestrian-inspired property near Washington, D.C.; and the development and management of Henderson Beach Resort, a 170-room beachfront resort in Destin, FL, opening summer 2016. For additional information, call (540) 687-3710 or visit www.salamanderhotels.com.